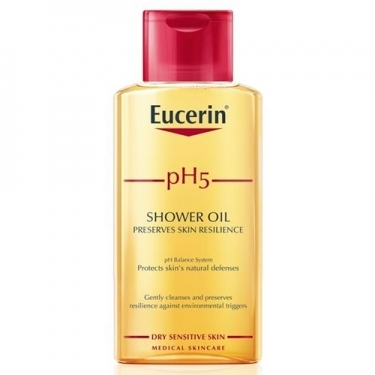 DESCRIPTION: PH5 Shower Oil from Eucerin is a nourishing cleansing oil for daily use that preserves the skin's natural defences and prevents dehydration. 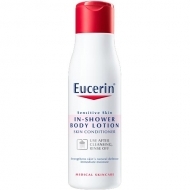 It was developed specifically for the needs of sensitive skin. 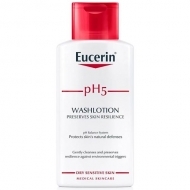 Its unique combination of pH5 citrate and extra-soft surfactants protects the skin's own enzymes. 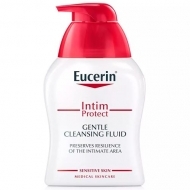 The intensive lipid replenishment leaves the skin spoiled and silky, leaving to dry, even after frequent baths.